Testosterone levels tend to fall in most men as we age. This is hardly new information! An article this week in the New England Journal of Medicine suggests that treatment with testosterone gels is appropriate for aging men with low testosterone levels (hypogonadism). raising testosterone concentrations for 1 year from moderately low to the mid-normal range for men 19 to 40 years of age [among a study cohort of men who were all 65 years of age or older] had a moderate benefit with respect to sexual function and some benefit with respect to mood and depressive symptoms but no benefit with respect to vitality or walking distance. The number of participants was too few to draw conclusions about the risks of testosterone treatment. It does not endorse the use of testosterone therapy in aging men with normal testosterone levels (because the trials discussed in the article only enrolled men with hypogonadal levels of serum T). It does not endorse the use of testosterone therapy in men at elevated risk for prostate cancer (because no such patients were eligible for inclusion in the trials discussed in the article). It does not endorse the use of testosterone therapy in men who have been treated for prostate cancer (because no such patients were eligible for inclusion in the trials discussed). It provides no data on the long-term effects of testosterone therapy in aging men with hypogonadism (because patients were followed for only 12 months). It therefore provides no meaningful information (one way or the other) on risk for prostate cancer diagnosis in aging men with hypogonadism being treated with testosterone gels. We post this article not because we believe that there is good information to suggest that testosterone therapy may cause prostate cancer but because as yet there has still been no large, randomized, long-term study to evaluate this in any well-defined group of men, let alone any well-defined group of men who have received prior treatment for prostate cancer. 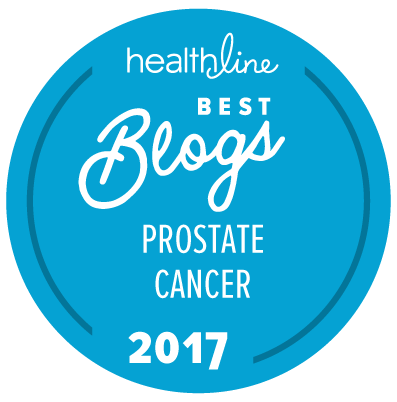 The role of testosterone therapy in men who have, have had, or are receiving treatment for prostate cancer remains poorly defined. Individual patients who wish to seek such treatment can almost certainly find physicians willing to provide the relevant prescriptions. Whether or not this is a good idea is still a lot harder to understand. I think it’s a very relevant post. Relevant to prostate cancer patients and to aging men in general. I have a DVD from Dr. Bob Leibowitz correlating the drop in testosterone in aging men to the increase in prostate cancer as they age. This study, and certainly none that I’ve ever seen, would support that correlation. In another instance, I heard a urologist state a widely accepted point that if your testosterone level is above 200 ng/dl that testosterone replacement therapy would have no effect on whether you get prostate cancer or not. That 200 ng/dl is already enough to proliferate prostate cancer. While that number appears arbitrary, we do know that many well-known oncologists want T levels to be at very least below 50 ng/dl when on hormonal therapy. Some would say below 20 ng/dl. Abiraterone acetate will lower it even further. This would indicate that the number that can help proliferate prostate cancer can actually be well below 200 ng/dl. We certainly have a wide open area of clinical study to be explored when it comes to testosterone levels and prostate cancer. I heard an oncologist speaking at a prostate cancer support group recommend against any testosterone therapy until more information is available on any long-term effects. It’s a controversial topic. There are all sorts of different opinions … and any patient can find a physician who will agree with that patient’s particular perceptions and point of view. It’s easy for someone who is not suffering to suggest waiting. Meanwhile, the days of your life tick away. Normal levels of T are not the enemy. I’ve been doing a lot of reading on T supplementation in hypogonadal men who have prostate cancer. Pretty interesting stuff — and definitely an area where long-term research is necessary.